For example, to solve the equation 3×4, think, “the double of 4 plus one more group of 4,” which equals 12. For 3×9, think, “the double of 9 plus one more group of 9,” to make 27. It’s also very important to reinforce the commutative property. This means that the order of factors does not change the product. For example, if students are faced with an equation like 5×3, they can still use this strategy since 3 is one of the factors. In this case, they can think, “the double of 5 plus one more group of 5,” to make 15. 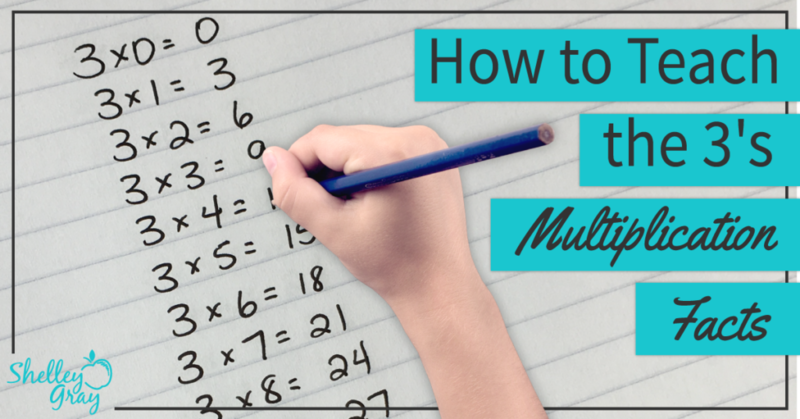 Ready to tackle multiplication once and for all? Join me for a free mini-course – “Teaching Basic Multiplication and Division for Mastery.” It will only take about an hour to complete and you’ll leave with tons of great ideas, a game-plan, free resources, a PD certificate, and more! REGISTER HERE. 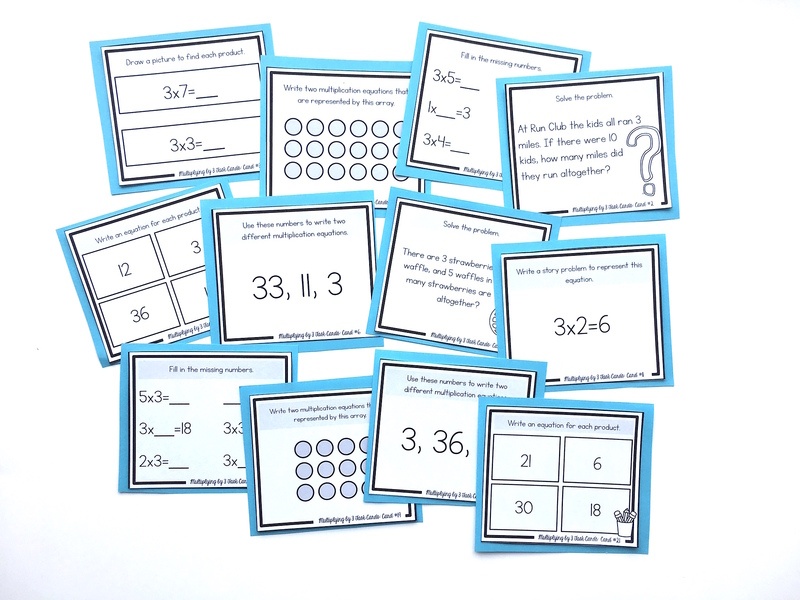 OR FIND THE FULL BUNDLE OF MULTIPLICATION TASK CARDS HERE.